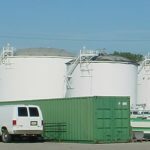 Located southeast of downtown Cleveland, Ohio, in an area referred to as the Forgotten Triangle, the 25-acre Hemisphere Industrial Park site represented one of a few opportunities to assemble a tract of land over 10 acres in the city of Cleveland. With the Bessemer Extension, highway access to this area was dramatically improved, opening the way for the creation of Hemisphere’s 25-acre redevelopment. 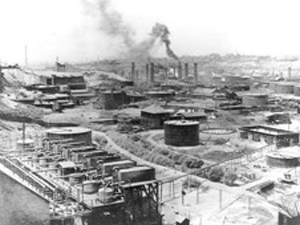 Site operations began just after 1900 as a storage site for one of Standard Oil’s first refineries. Subsequently, the site was operated as a major rail yard from the 1920s until the mid-1960s. The site continued its decline as a junk yard/barrel washing operation from the mid-1960s through the 1990s. Abandoned for over a decade, the site became a major tire dump, which was set ablaze by an arsonist in 1999, sending plumes of black smoke over downtown. Hemisphere remediated the site through the rigorous Ohio Voluntary Action Program (“VAP”) Memorandum of Agreement process, in coordination with the city of Cleveland, Ohio EPA and the Ohio Department of Development. 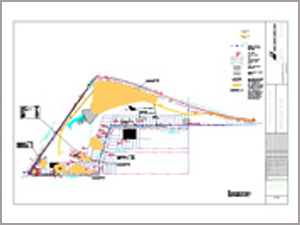 In total, approximately 45,000 tons of impacted material was handled on-site and almost 25,000 cubic yards of clean soil were imported to the site. The yellow areas on the adjacent map represent the property’s impacted areas remediated through the VAP process. At the transaction’s inception, Hemisphere’s exit strategy anticipated either a sale of the entire site to an institutional or industrial end-user or marketing the site as a multi-tenant industrial park, accommodating up to 350,000 square feet of new industrial space. In December 2005, the entire Hemisphere Industrial Park was sold to the Cuyahoga Metropolitan Housing Authority (“CMHA”) for its new headquarters as well as an industrial campus, serving as a catalyst for substantial new development in the area and creating hundreds of jobs at the site. Additionally, a portion of the site was used for one of Cleveland’s largest solar arrays.